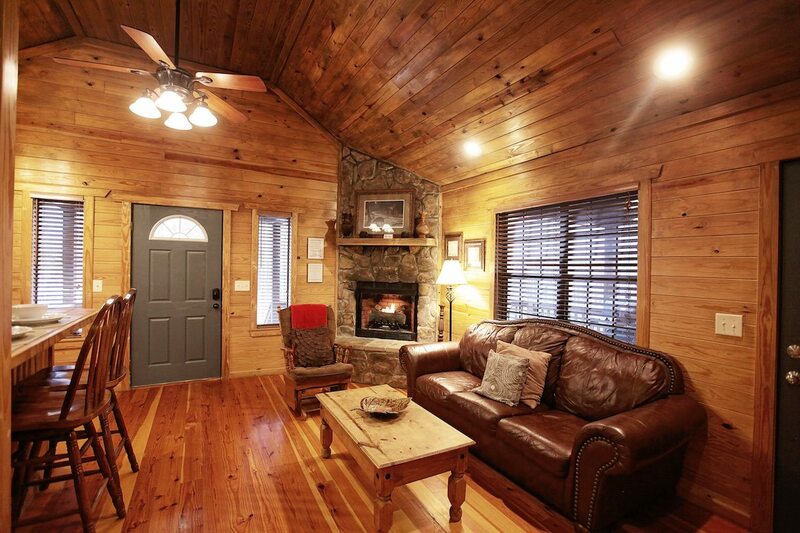 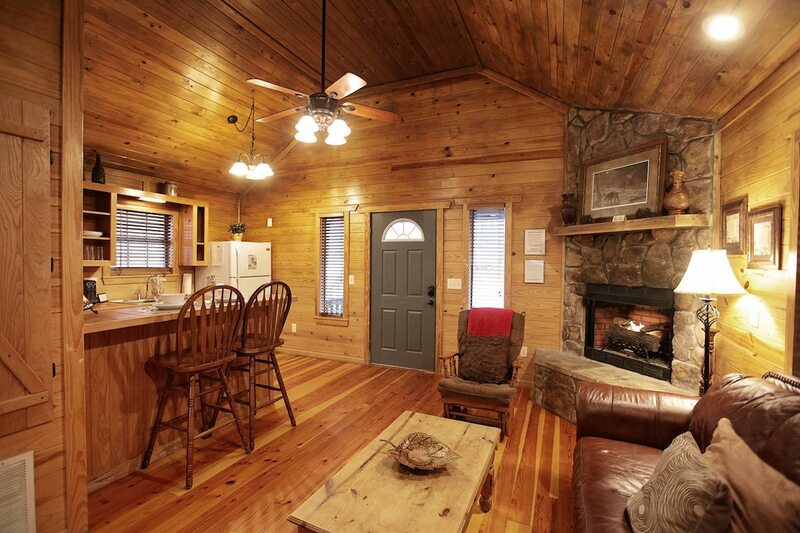 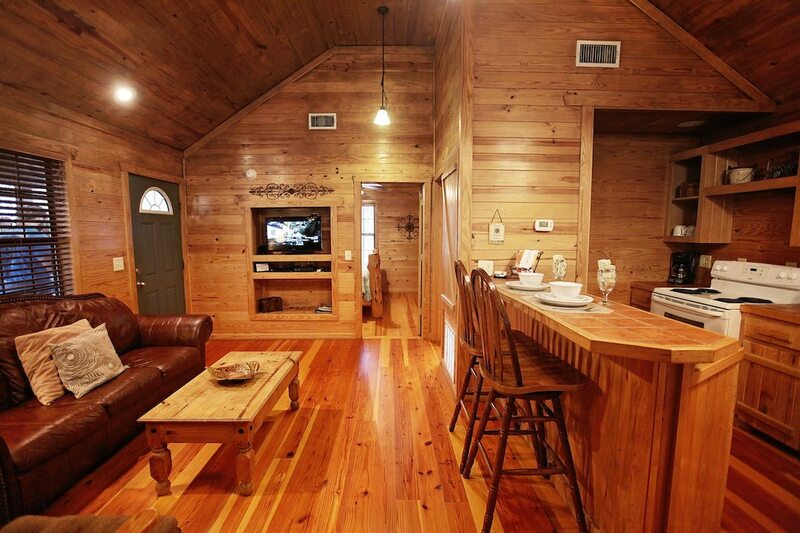 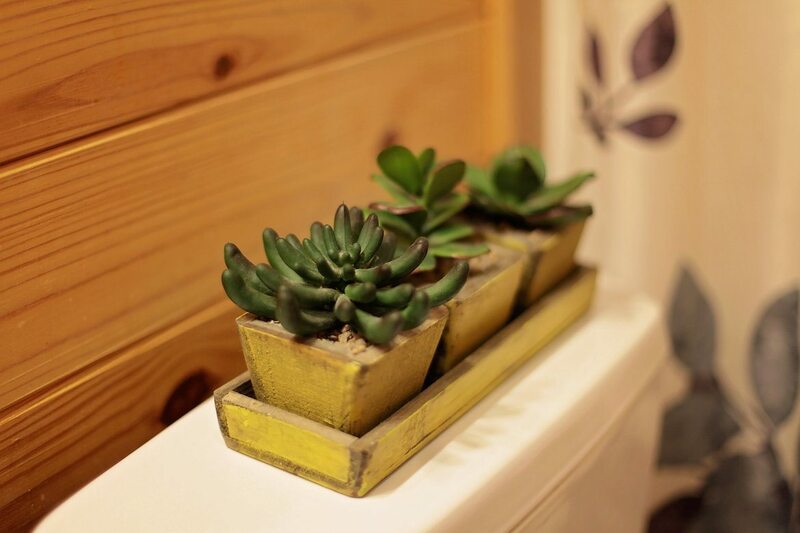 One of two Broken Bow Cabins sharing eight acres, Juniper Hill Cabin is a very private getaway. 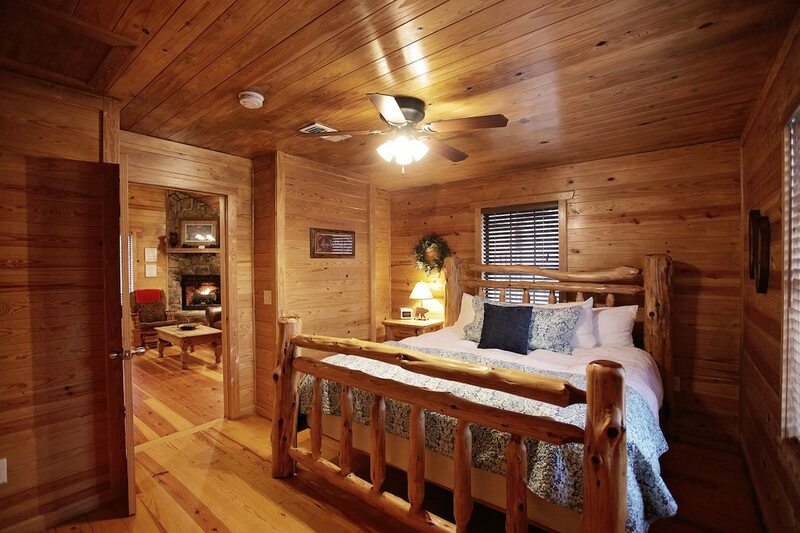 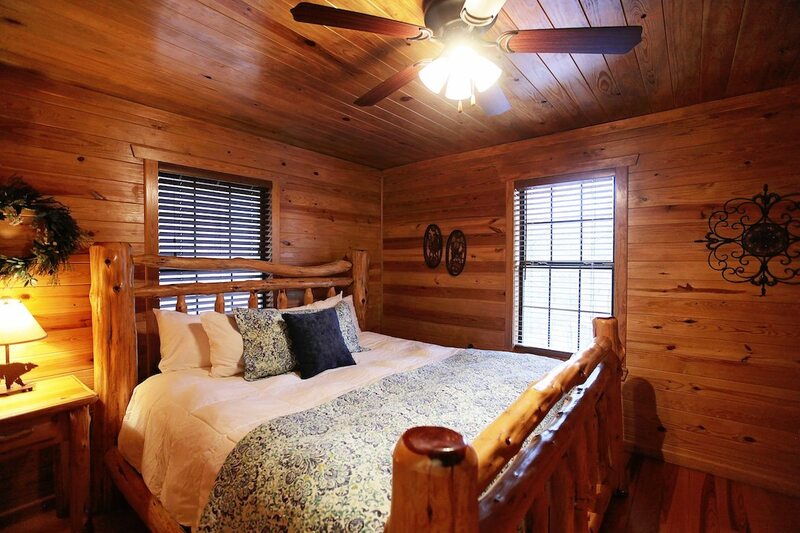 This pet friendly one bedroom cabin includes a king size Aspen Log bed with luxurious Downlite linens. 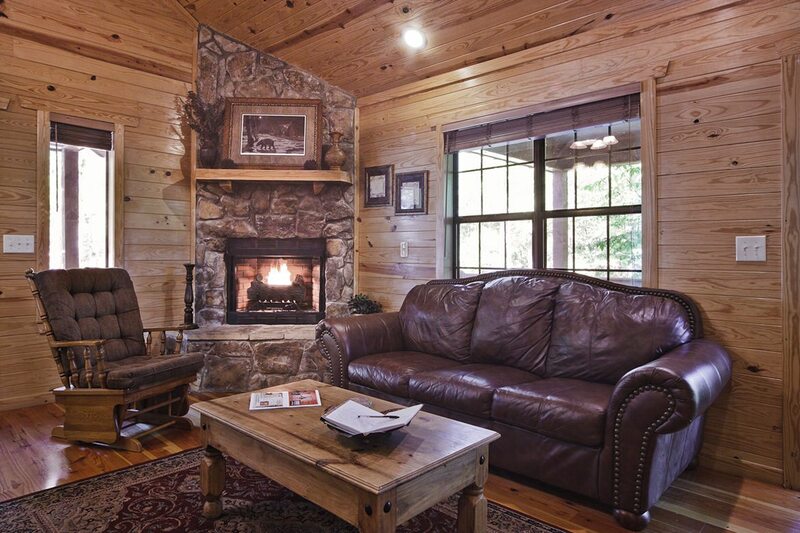 The living area features a gas fireplace to keep you cozy in the winter months. 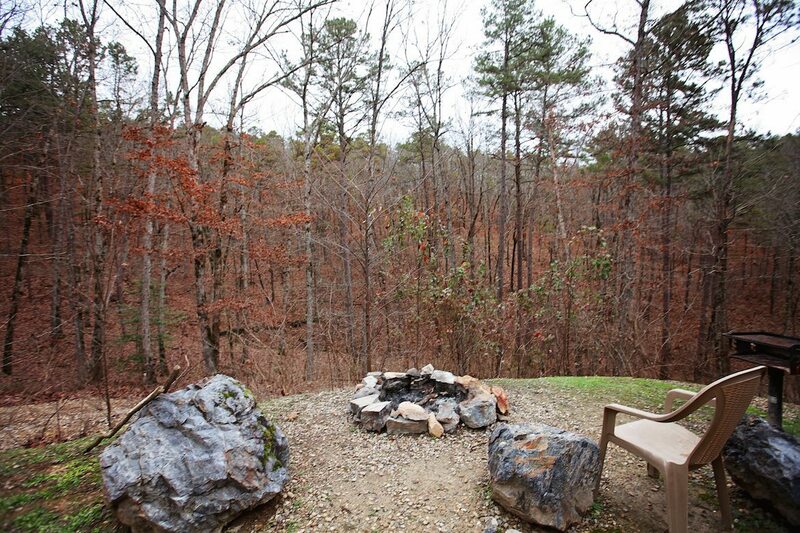 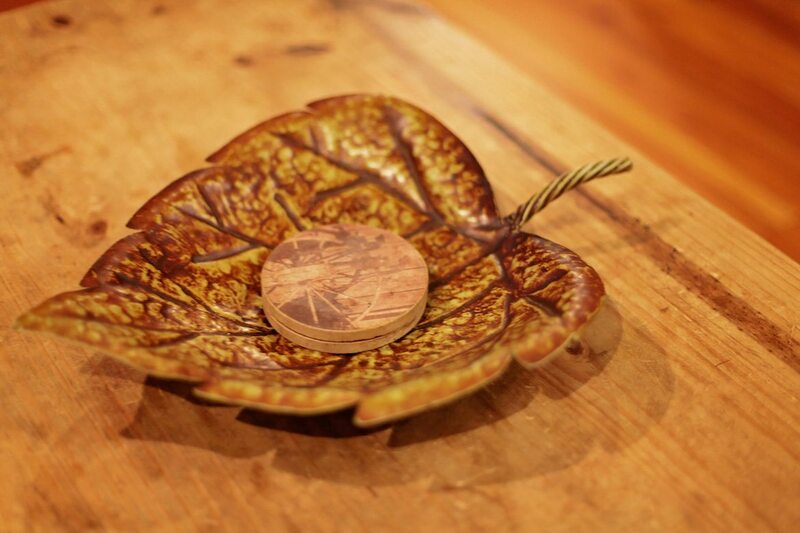 Cook in the fully furnished kitchen or enjoy the deck atop the hill and grill out with gas or charcoal. 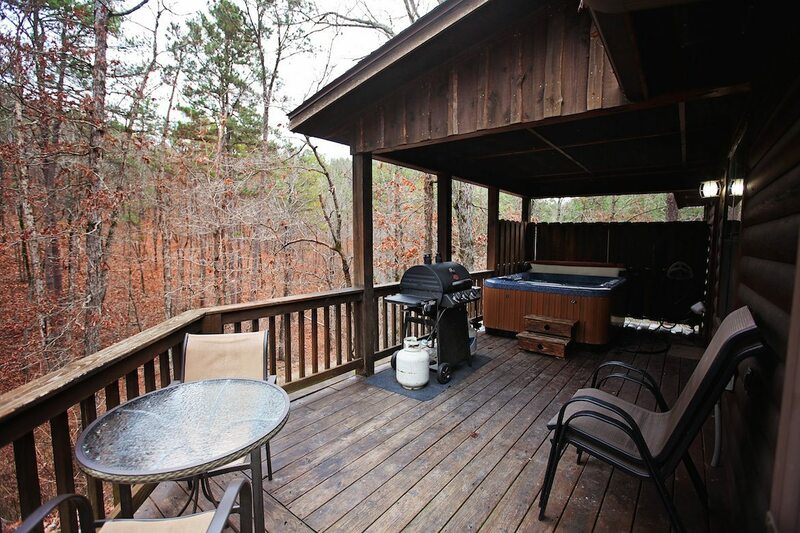 The deck also features a fire pit and hot tub. 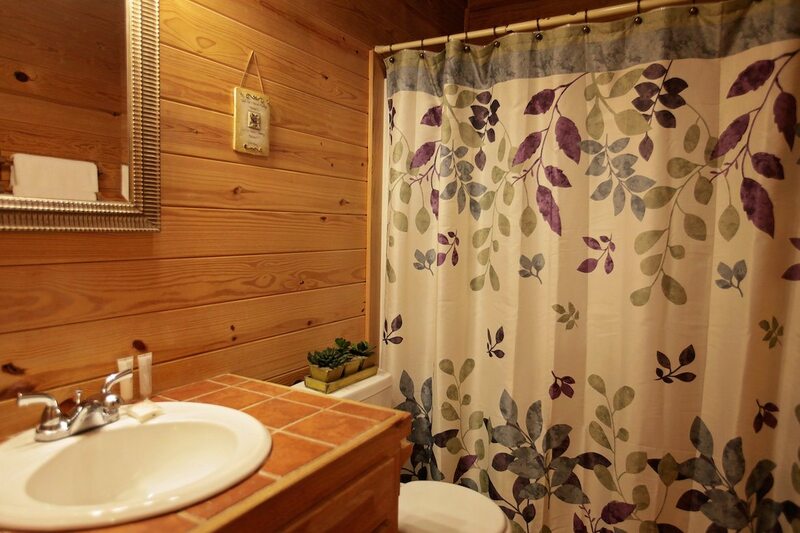 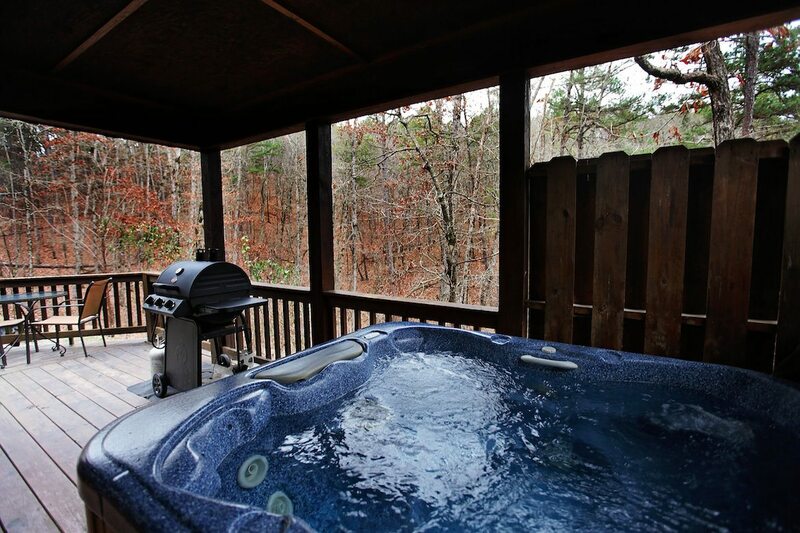 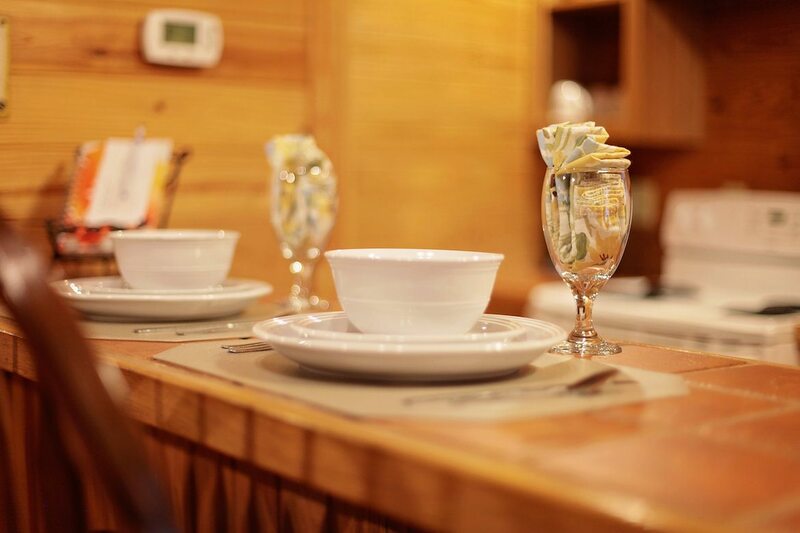 All hot tubs are drained, cleaned and refilled after each visit to our Broken Bow Cabins. 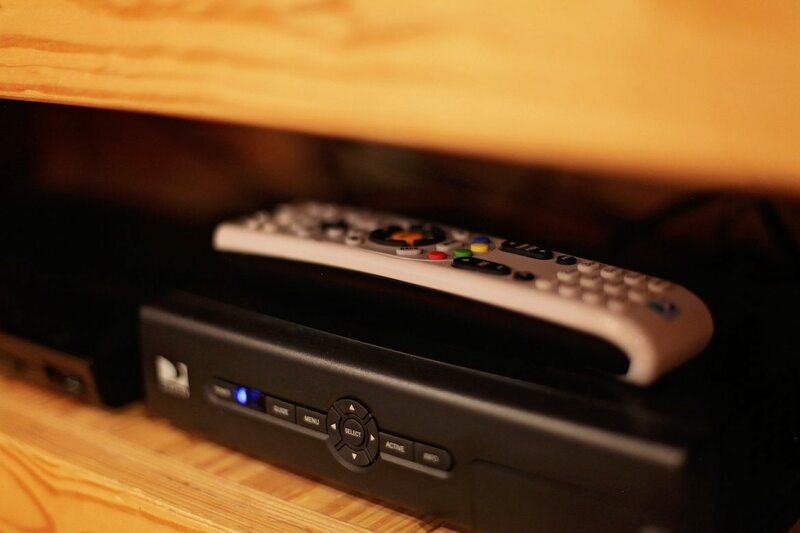 Don’t miss a game or movie on the High Definition television with HBO and Cinemax or bring your own and use the DVD player. 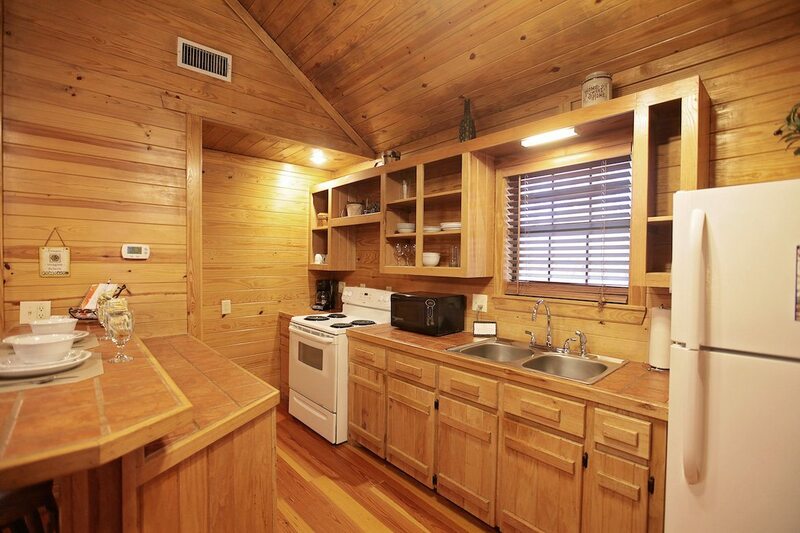 ***Pulling a boat or RV trailer might be difficult to reach the cabin. 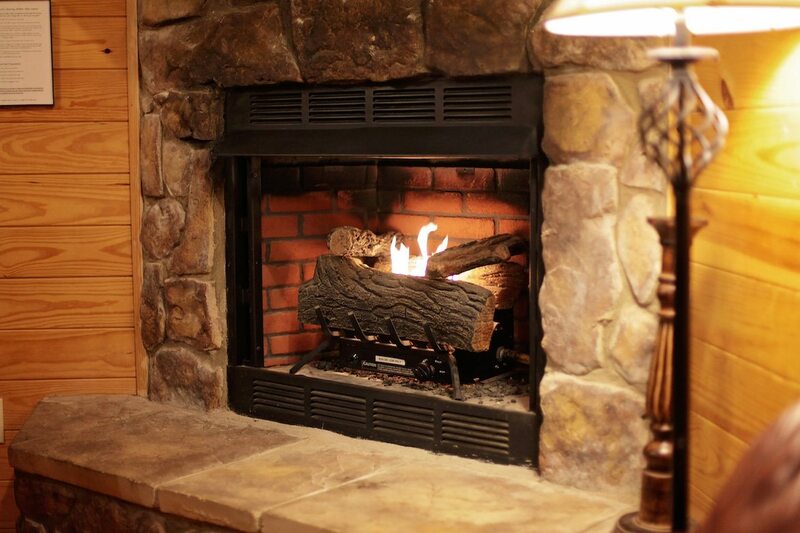 Unless you have four wheel drive. 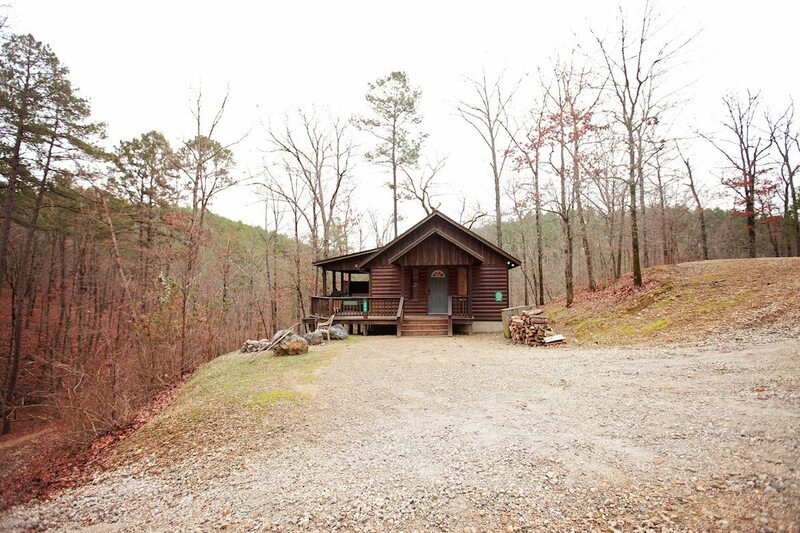 There is parking available at the main house at the bottom of the hill for your boat or trailer. 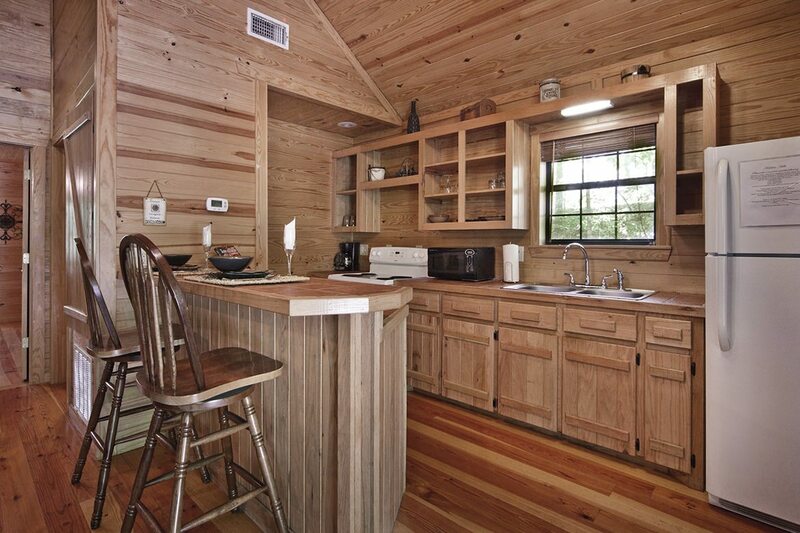 Vehicles not pulling a trailer or boat can reach the cabin.